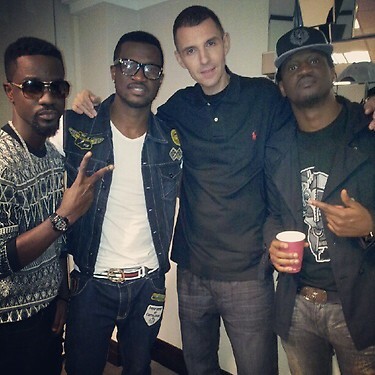 Top British radio DJ Tim Westwood will tonight lead a team of crack DJs and singers from the United Kingdom to shake this year’s ‘Ghana Rocks’ concert at the Accra International Conference Centre, and it will be as electrifying as it has been over the years. The show which is GHOne TV’s annual urban rave will also feature top Ghanaian and Nigerian show-stoppers. Tim Westwood, credited with helping to bring African music to the mainstream British scene, is the most recognised urban DJ in the UK and beyond. He recently hosted Ghana’s Sarkodie for the second time in his London studios during his Crib Sessions show on BBC Radio 1 Xtra. A multiple MOBO awards recipient, Tim Westwood is a celebrity DJ par excellence, and is regarded as the most influential figure in hip-hop in Europe, and a promoter of the Afrobeats genre on the UK scene. This year’s Ghana Rocks concert has a line-up of artistes that includes Shatta Wale, Eazzy, R2Bees, 4×4, Joey B, EL and M.anifest. Others are Edem, Mr Silva, Skobs and Chapsey. The show is sponsored by Vodafone and presented by Charterhouse.